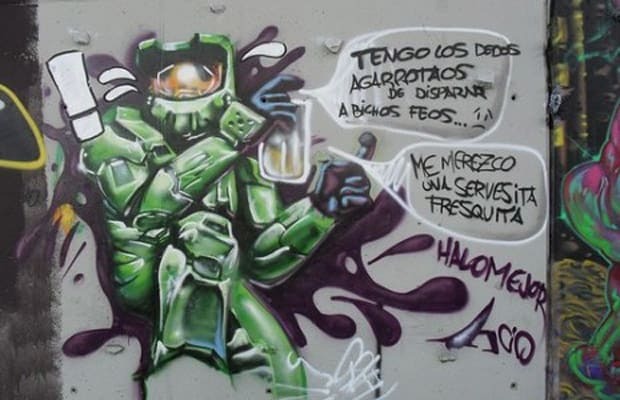 The writing in this Halo graffito from Getafe, Madrid roughly translates to "I have fingers clinging to shoot ugly bugs. I deserve a cold beer." Hard to argue with that.